Hydrangea paniculata 'Early Sensation' is a deciduous shrub producing large upright panicles of pinkish-white flowers in late summer and early autumn. Red stems and fresh green foliage, a pretty medium-sized shrub for the border. 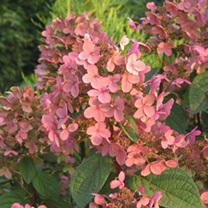 It is less particular about soil pH than many other hydrangeas, and will grow well provided there is fertile soil that does not dry out. Best grown in partial shade and sheltered from cold winds. Height 200-250cm. Supplied in a 7.5-10 litre pot. Hydrangea paniculata 'Early Sensation' is a deciduous shrub producing large upright panicles of pinkish-white flowers in late summer and early autumn. Red stems and fresh green foliage, a pretty medium-sized shrub for the border. 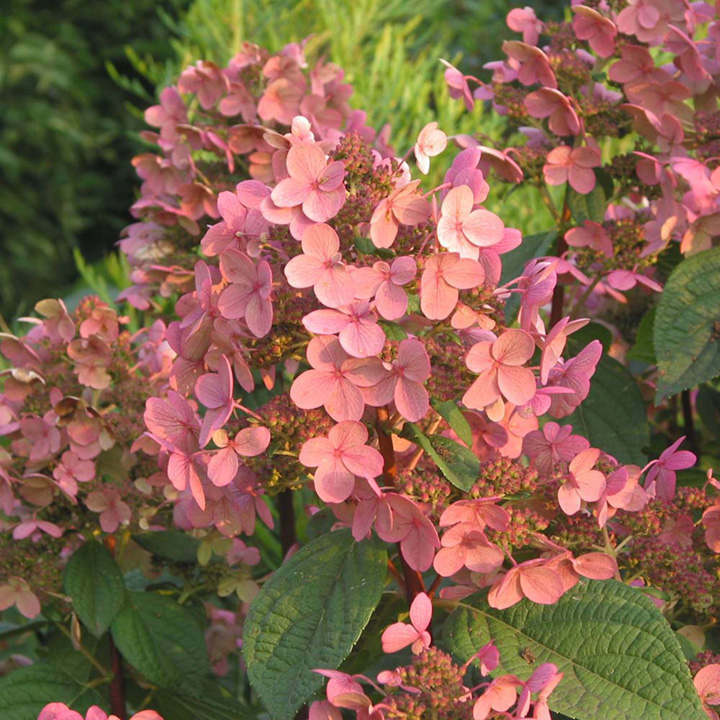 It is less particular about soil pH than many other hydrangeas, and will grow well provided there is fertile soil that does not dry out. Best grown in partial shade and sheltered from cold winds. Height 200-250cm. Supplied in a 3 litre pot or 7.5-10 litre pot.